Heartlands Mining World Heritage Site where we carried out both structural timber and stone repairs. 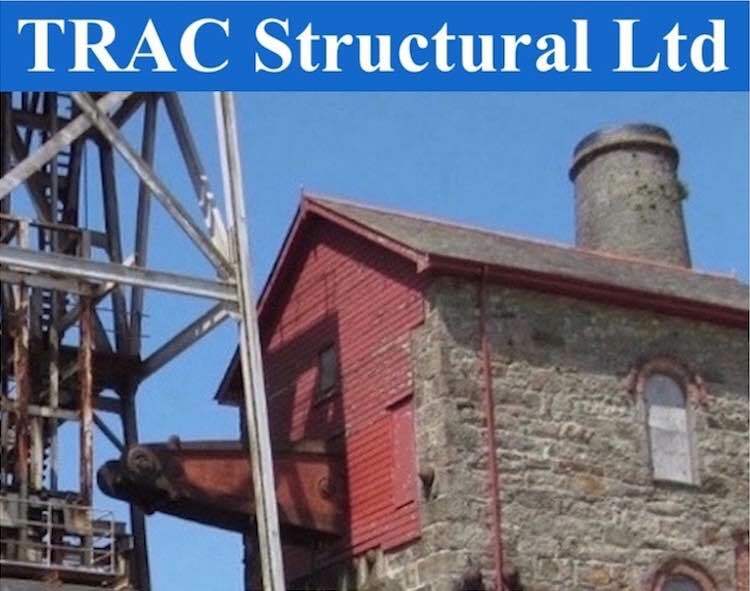 An introduction to TRAC Structural Ltd and to our structural repairs services. Established 1998, we provide a comprehensive service for structural repairs to Brick, Stone, Timber and Concrete Structures, including works to Listed Buildings and Historic Structures. We work with our customers to achieve cost effective structural repairs solutions. Don’t hesitate to get in touch to find out how our structural repair methods can benefit you. We use the Helifix System and are Helifix Approved Installers. We can provide you with a full design and installation service for this specialist repair method, including insurance backed warranty for the design. We use the Rotafix system and are Rotafix Recommended Contractors. Working in conjunction with Rotafix and an independent Chartered Engineer we provide you with design solutions covered by independent professional indemnity insurance. We carry out concrete repair works in support of our brick, masonry and timber repair services. Typically this will include structural repairs to spalling concrete using proprietary systems including Fosroc. We will carry out the original investigations, using specialist access services when required. These are the Support Services we have available that considerably extend the scope of solutions we can offer our clients. Some of our works at Gloucester Cathedral used both techniques. Links to examples of the wide range of structural repairs services that we provide. Can work directly with you or with your professional advisors. Work either as a Sub-Contractor or as a Main Contractor. We provide a comprehensive design and quotation service and if this will incur a design cost this will be clearly stated before we proceed. Quotations can be provided to your specification when required. Full Health and Safety and COSHH Documentation provided. Just Contact us (details below) or if you would like to find out a bit more about our repair methods first, use the links at the bottom of each page to navigate to the information of interest to you. Get in touch by email or phone and we will do our very best to offer you a timely solution.